A little bit about the farmhouses in Gozo, Malta's sister island. An enchanting ferry ride across the Gozo channel will change most previously conceived perceptions of the Maltese Islands in a heartbeat. The views of Comino and the Blue Lagoon add a certain sense of excitement to the crossing, especially when one manages to catch a glimpse of the setting sun against the backdrop of Ta Cenc Cliffs of Sannat. Dwellings started sprawling over the Maltese Islands in the early 1600s, firstly consisting of a web of winding streets and alleys surrounding a central communal square, then later emerging in a sprawling pattern of open ended streets leading into the countryside. Welcome to the introduction of farmhouses on the island of Gozo. Accommodation has really improved on the island over the last couple of decades. An established travellers' choice for many years, providing accommodation to visiting tourists for several decades, farmhouses have definitely upgraded in terms of comfort and style when compared to their ancestral counterparts. Owners soon realised the income potential these properties have to offer. Swimming pools and central heating are some modern luxuries becoming quite common in most recently furnished farmhouses. Keeping true to the architectural practices of the era, most properties are still kept to the building structures of the typical Gozitan farmhouse of the past and you will find many dating back hundreds of years, all with a modern twist to entice the senses and help ensure an unforgettable holiday experience. The villages of Gharb, Ghasri and San Lawrenz seem to have the largest concentration of options when it comes to finding the right farmhouse suitable for specific tailored needs. Whether for a family reunion, a company team building activity or just a party amongst friends, some places easily accommodate up to 20 people for a fraction of the price you would have to pay in any 4 or 5 star establishment on the island. Within the privacy of your own rented dwellings, you can engage the services of several masseuses, personal chefs, maids, yoga instructors and so on; many catering companies are also readily available to manage and cater for any function you might consider organizing. These limestone abodes which housed both animals and people at one point, are nowadays considered an elegant alternative to other types of accommodation establishments available on the market. Restaurants and supermarkets are dotted throughout the whole island to ensure that your culinary needs are also duly met to the highest standards, many using only the freshest of home grown produce during its appropriate season. Due to the recent marketing boost of several celebrities gracing our shores, demand is definitely on the rise on this rocking little island. 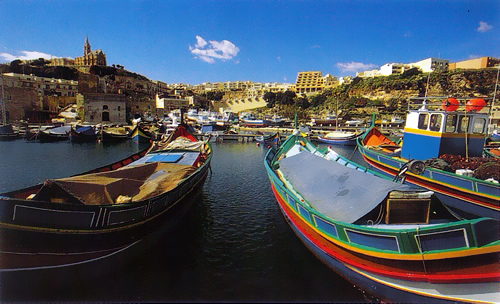 Recently, Gozo has been named the most sought after island in the Mediterrenean by Italian Internet Users according to liligo travel website http://www.chevron.co.uk/Gozo%20most%20searched%20holiday%20destination and it is always best to use the services of an agent to find what you are after. What might be considered expensive during the summer months can always be rented at a much more reasonable rate during the shoulder and winter months, when tourist numbers decrease and several places reduce their tariffs. For updated prices and a range of options, check out our Gozo Farmhouses for rent on our website - some places will blow you away. Our letting specialists will readily assist you in your search for that perfect property you can call home for a while. Go ahead, live a little; you deserve a treat!